ORLANDO, FL—Describing the encounter as a once-in-a-lifetime experience she’ll never forget, local bottlenose dolphin Hazel reportedly recounted stories Tuesday from a recent vacation in which she got to go swimming with a stockbroker. “He was definitely shy at first, but with a little encouragement he swam right up next to me—the whole thing was so amazing,” said the dolphin, appearing excited as she described her “almost spiritual” encounter with the financial executive, whom she estimated was perhaps 40 years old and weighed as much as 180 pounds. “And he was just chattering away the whole time. It’s like they have their own little language. 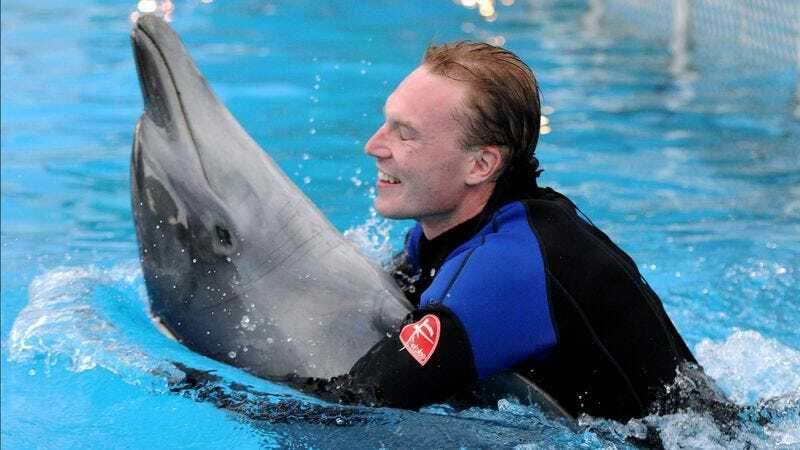 You have to wonder what’s going on in their heads and whether it’s true that they’re almost as intelligent as we are.” The dolphin added that while she ultimately enjoyed her experience, she was disappointed that she wasn’t allowed to actually ride the stockbroker.